The term "hiccup" derives from the sound of the event. A hiccup is a sudden, unintentional involuntary contraction (spasm) of the diaphragm, the muscle at the base of the lungs. As the muscle contracts repeatedly, the opening between the vocal cords quickly closes to check the inflow of air, which produces a distinctive sound. Irritation of the nerves that extend from the neck to the chest can cause hiccups. •Psychogenic causes like excitement, stress, etc. The cause of hiccups in children and infants is rarely found. But it is commonly believed that over-feeding an infant leads to hiccups (could be due to gastric distention). Brief episodes in adults are usually benign and self-limiting. Hiccups are sometimes thought to be a reflex to protect us from choking. When should you seek medical help for hiccups? 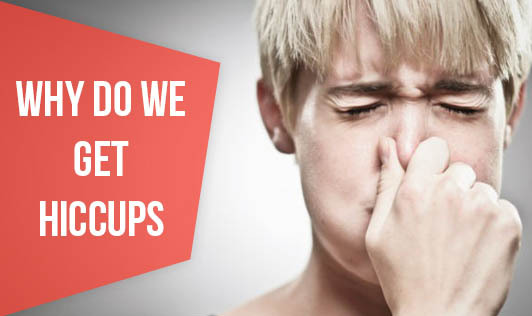 Most cases of hiccups resolve themselves in a short period of time and are rarely a medical emergency. Consult your doctor if hiccups last more than three hours, or if it interferes with your eating or sleeping habits. If hiccups are associated with abdominal pain, fever, shortness of breath, vomiting, coughing up blood, or feeling as if the throat is going to close up, one should seek medical attention.